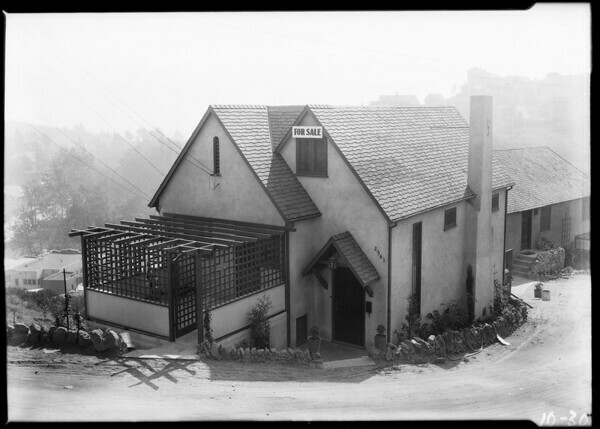 Photograph of exterior of house, Southern California, 1924. "For Sale" -- sign on house. "2543" -- address on house.